Tabata Stopwatch Pro is the ultimate Tabata and HIIT Interval Timer that works for ‘all’ your interval training needs. 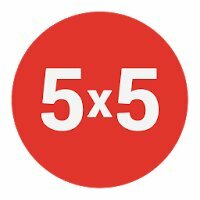 Use with Tabata, HIIT, kettlebells, calisthenics, bodyweight exercises, etc. 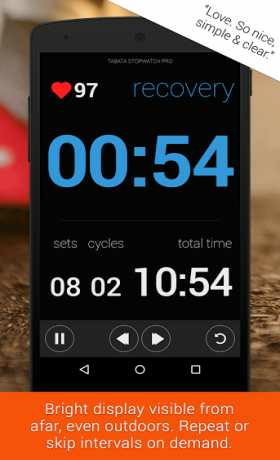 Tabata Stopwatch Pro is a feature packed beautifully designed interval timer for people who follow the Tabata training method. Designed with both beginners and advanced users in mind Tabata Stopwatch Pro comes ready to use with basic Tabata already set up for you. As you gain more experience you can customize all intervals to match your pace. 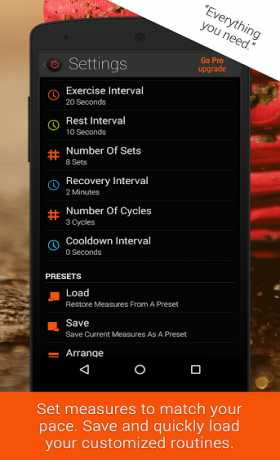 You may even create and store your own interval presets to quickly change to different workouts. You may use the app for your HIIT and WOD exercise routines and workouts. 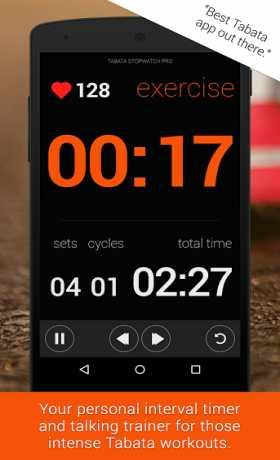 Tabata Stopwatch Pro is loaded with beeps that help identify what part of a workout you are in, interval beeps for example tell you when a new interval has started. Tabata Stopwatch Pro also has voice support that announces intervals to further help you focus on your workout. Oh and what would an exercise app be without music, select your favorite tracks and blast through that workout. + Handcrafted and design updated for Android. + Build presets to support your multiple interval training needs. + Works with other apps and when your device is locked. + Google Fit integration to track your Active workout times and calories burned.